For some time now we have been wanting to find a natural leather alternative - one that works with our love for texture and which is visually stunning in its own right. Cork has always been a firm favourite and for the past few years we have been secretly testing and sampling cork ‘leathers’ alongside other contenders to ensure they make the perfect material for our goods. We’re so glad to say that all that testing was worth it! We have found Cork to be so resilient. The material we source from Portugal is completely different to that of the cork you imagine from your wine bottles or coasters. We have manipulated it and attempted to tear it and failed - it is the opposite of brittle! It also has a natural water resistance, making it a great alternative to leather. Despite its good looks and tests of strength, cork is a renewable material. Cork is made from very thin bark shavings from the cork oak tree, ensuring that the tree suffers no damage at all. 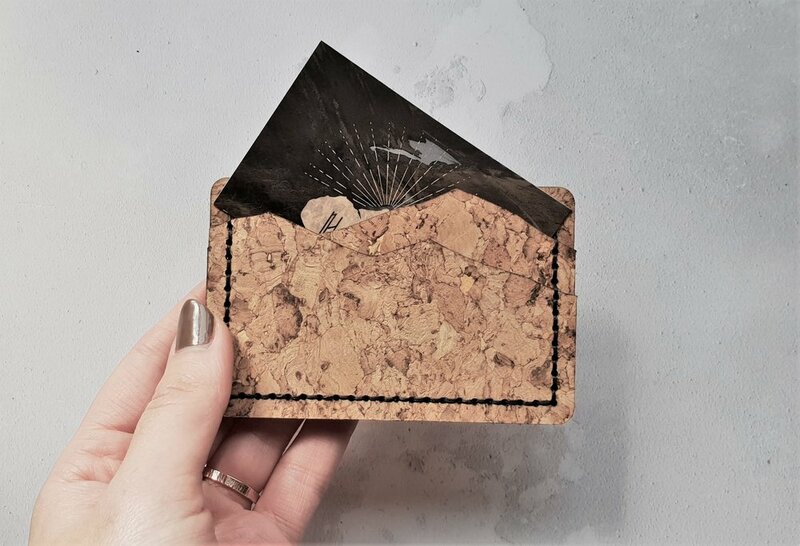 As a material, cork is eco-friendly, 100% natural, renewable, recyclable and biodegradable. It's soft, lightweight, versatile, impermeable, insulating and very durable, dust and dirt repellent. We really hope you love the new collection as much as we do! And we are so pleased to be able to provide a vegan alternative which we know our fans have wanted for some time. You can find our hip flasks, key fobs and card holders in cork below and keep an eye out for wallets, water bottle covers and patches coming soon!